The 2017 workshop will have specific sessions on aviation, maritime and land applications. There will be Awards and Diplomas for stakeholders already using EGNOS. Participants are also invited to join the social networking event in the afternoon of Day 1. 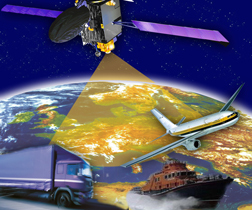 The European Geostationary Navigation Overlay Service (EGNOS) is Europe’s regional satellite-based augmentation system (SBAS) that is used to improve the performance of global navigation satellite systems (GNSS), such as GPS and Galileo. It has been deployed to provide safety of life navigation services to aviation, maritime and land-based users over most of Europe.